Circle Officer (CO) Satya Prakash Sharma and Suresh Kumar, the in-charge of Chingravathi police chowki, have been transferred "for their failure in responding in time to the situation arising on Monday in that area". Acting on a report submitted by the Additional Director General of Police S.B. 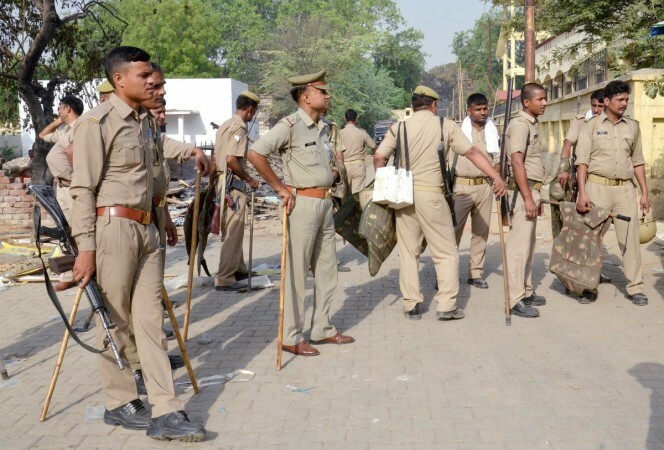 Shiradkar, Circle Officer (CO) Satya Prakash Sharma and Suresh Kumar, the in-charge of Chingravathi police chowki, have been transferred "for their failure in responding in time to the situation arising on Monday in that area". A senior home department official said they have been taken to task for not being fast enough in reacting to the situation that arose after some Hindu right-wing activists found some animal carcasses in the field and took them on tractor trolleys to block a road. Police inspector Subodh Kumar Singh and the civilian from Chingravathi village, Sumit Singh, were killed in the mob violence thereafter. The action was taken after a high-level meeting was presided over by the Director General of Police (DGP) O.P. Singh, who had handed over the report to Chief Minister Yogi Adityanath on his arrival from New Delhi. Meanwhile, Adityanath has termed the Bulandshahr incident an "accident". He had earlier said the incident was result of a "big conspiracy" but at a media event in Delhi on Friday, he said that the incident was actually an accident. "Uttar Pradesh mein koi mob lynching ki ghatna nahi hui hai... Bulandshahr mein jo hua wo ek durghatna thi (No mob lynching happened in Uttar Pradesh, what happened in Bulandshahr is an accident)," he said. The police have arrested nine accused but the main conspirator Yogesh Raj, the district convener of the Bajrang Dal, continues to be at large.